We are industrial safety lanyard hardware accessory designers, manufacturers, distributors, wholesalers and retailers. We design and make safety breakaway plastic buckles or plastic connectors for variety of safety industry applications. 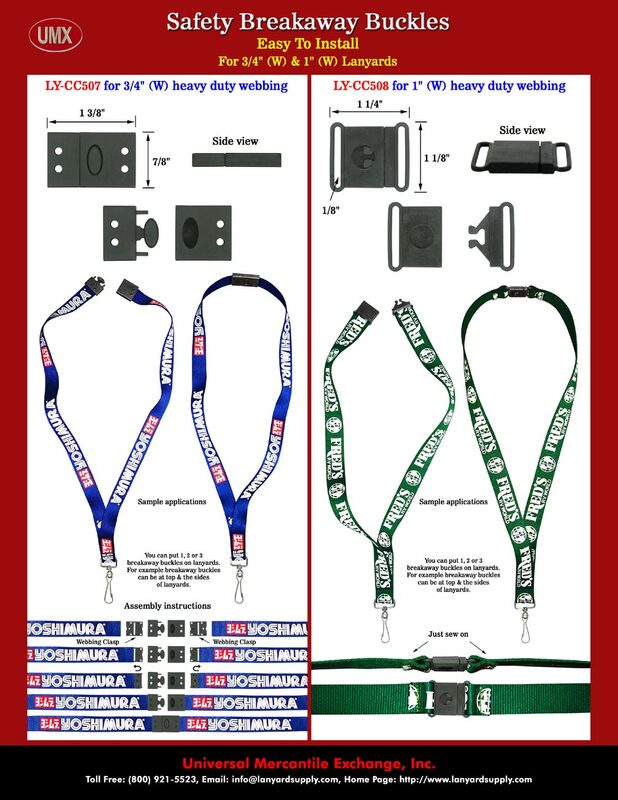 Depending on your applications, you can put one, two, tree or more buckles on your lanyards. The safety break-away buckles with quick release function can be detached and reconnected easily. Big Size Industrial Safety Breakaway Plastic Buckles or Plastic Connectors For Safety Lanyards Making.